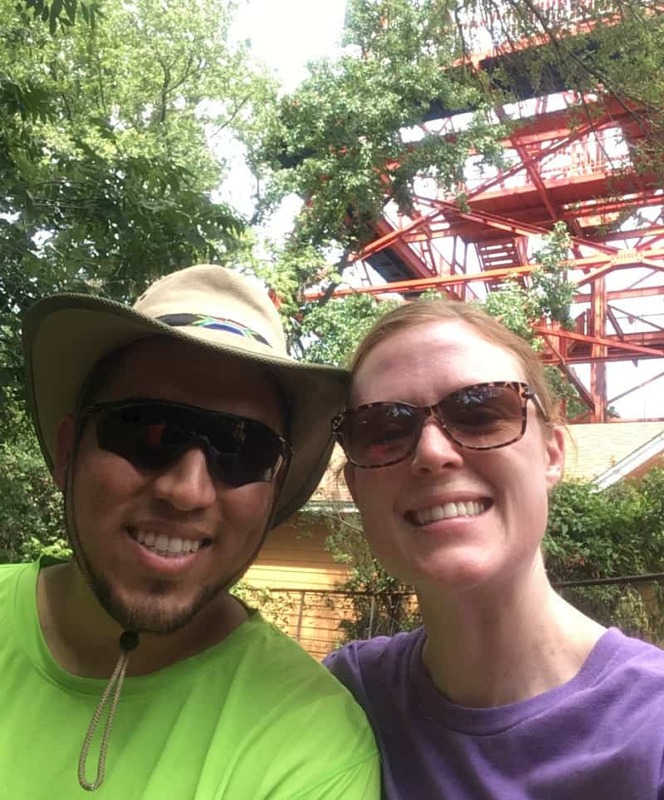 Six Flags Over Texas has always been a favorite destination for both my husband and me because, being from Texas, it was THE place to go as a kid. We live fairly close, so we were thrilled when we were given the opportunity to visit as a family. 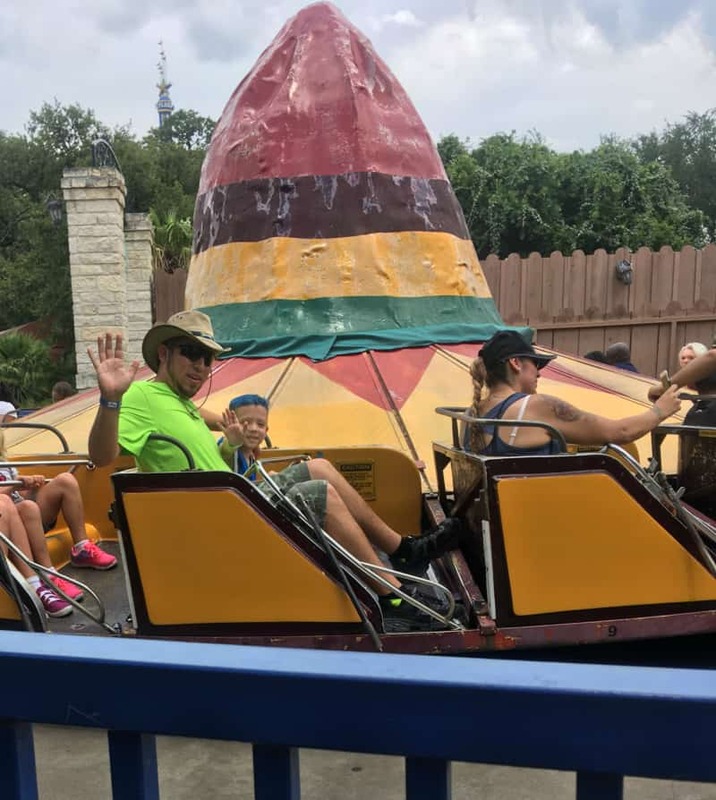 This post was sponsored by Six Flags Over Texas, but the opinions and enthusiasm are all mine! 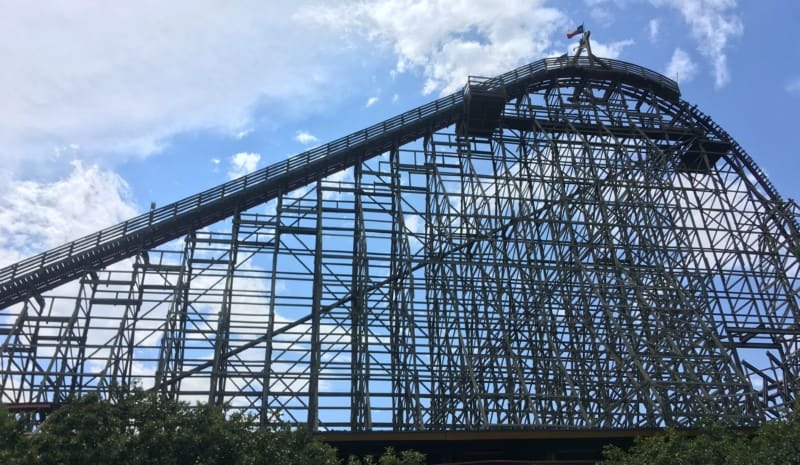 Six Flags Over Texas has something cool to do for everyone. 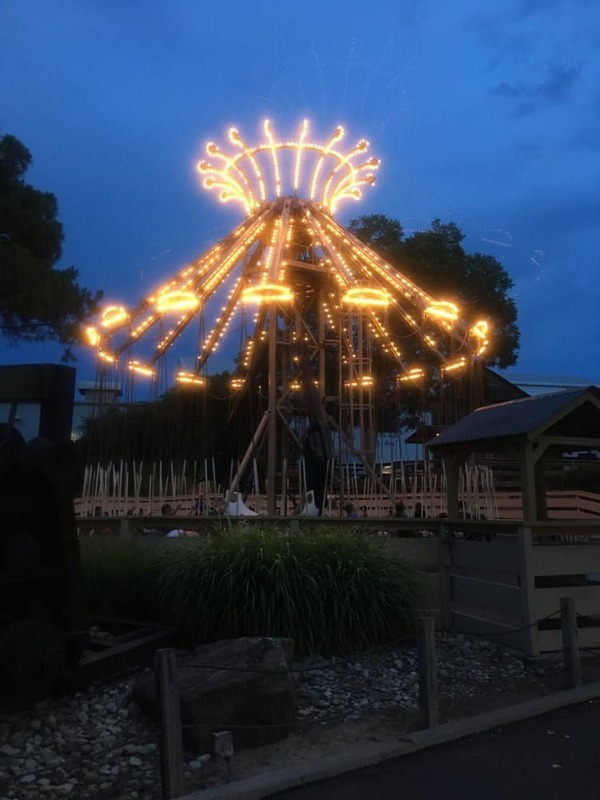 There is a complete list on the website, and they have broken it all down into “thrill rides,” “family rides,” “kids rides,” and “entertainment.” They also make sure to include special events and show times. They have thought of everything and continue to get better year after year. I was not much of a roller coaster fan as a child, and I am still not, but Six Flags Over Texas was ALWAYS fun for me. The entertainment, food, drinks, games, AND rides make for a fun day for the family. My husband, Ben, IS a thrill seeker and our kids are turning out to be a good mix of us. The 9-year-old loves roller coasters, but prefers to not go all out. 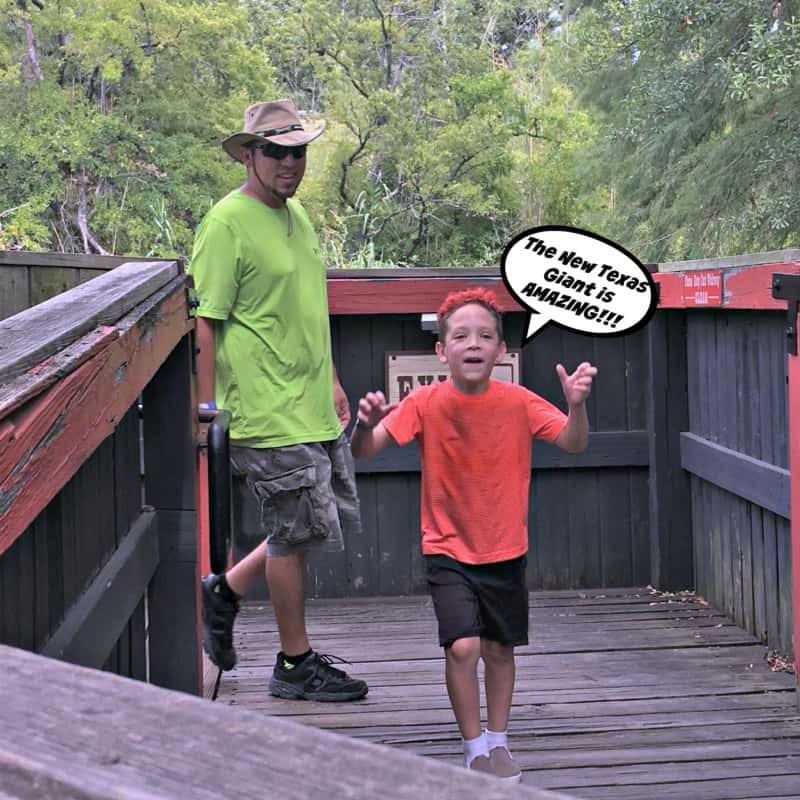 The 7-year-old wants to try everything and LOVES the thrill rides that he is tall enough to ride! 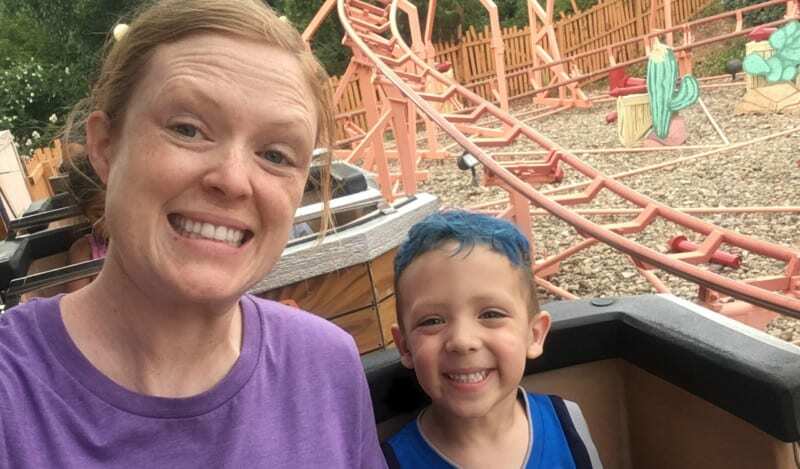 As a mom, I truly appreciate that there is something exciting for everyone, even the 4-year-old who has a few inches to go before the thrill rides. On the day that we visited, the first ride they wanted to ride together was this guy. 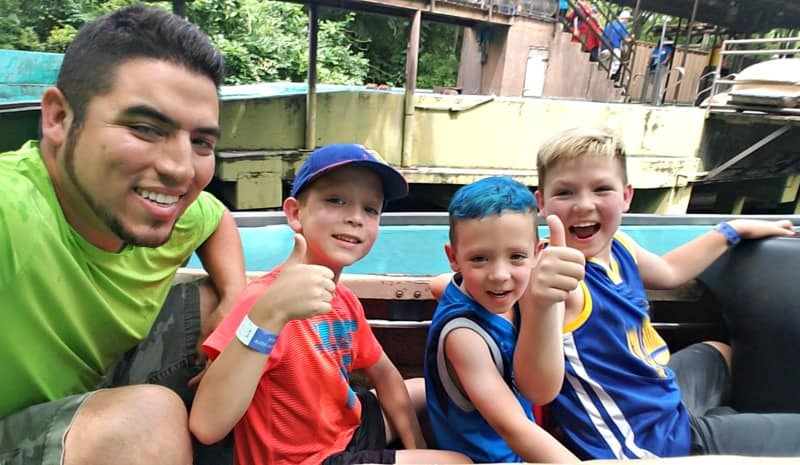 El Sombrero is an exciting family ride, where everyone can ride together. 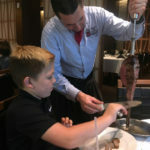 The 4-year-old loved it, and so did the big kids! The Conquistador was such a hit with the family that they rode it twice! Advice from the 9 year old: sit in the back of the ship for a bigger thrill! Sometimes you need a nice drive down Memory Lane to settle your tummy and get you ready for the next ride. 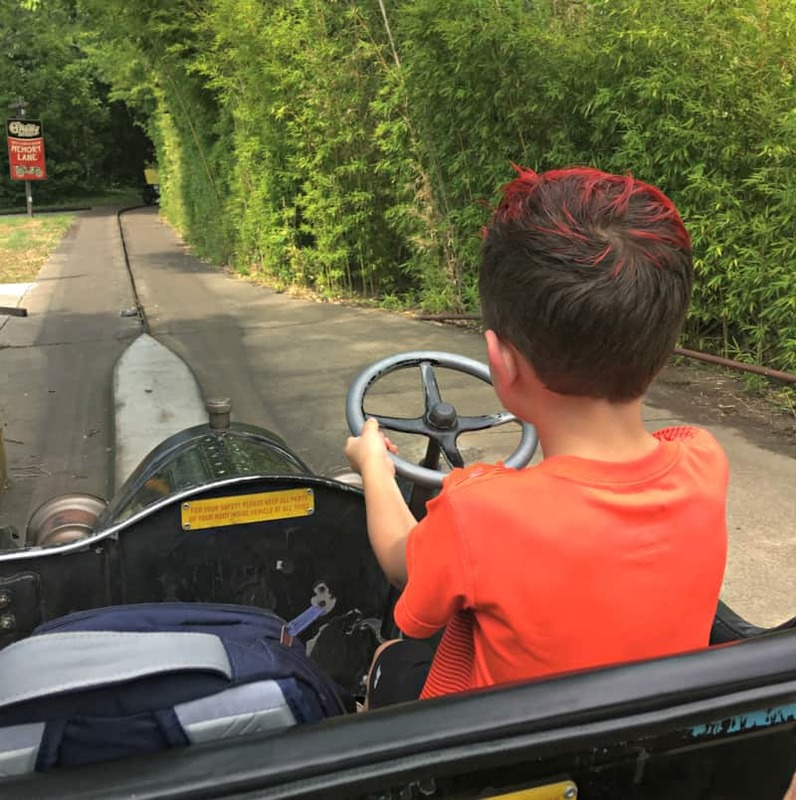 The best thing about the Chaparral Antique Cars is that there is no height requirement, so my 7 year old “drove” us around while we relaxed in the back! He thought that was pretty awesome and felt pretty cool. The number of rides families can ride together is really long! Check out the full list on the Six Flags Over Texas website. Ride El Aserradero! 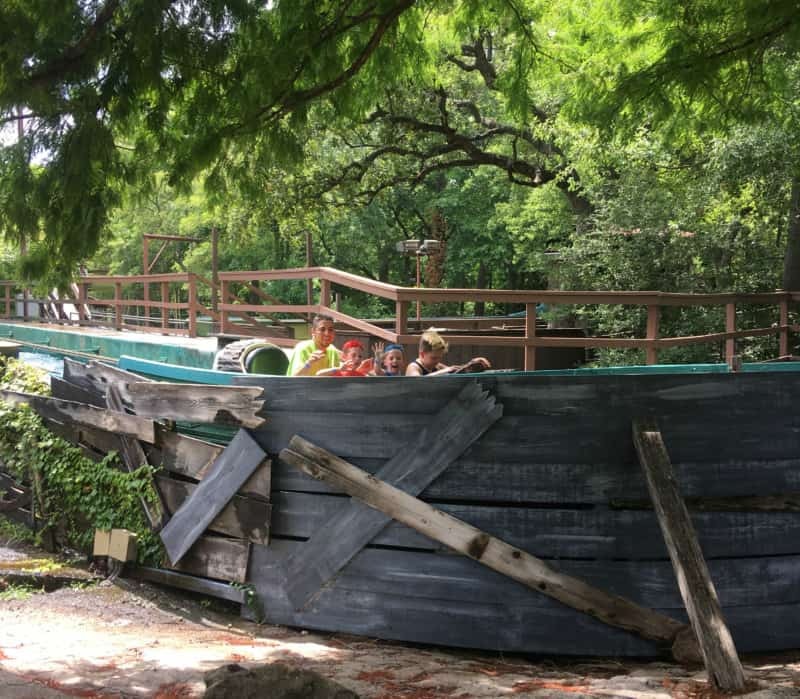 This was my favorite ride as a kid, known then as “The Log Ride.” My kids LOVE it just as much as I did…and still do! 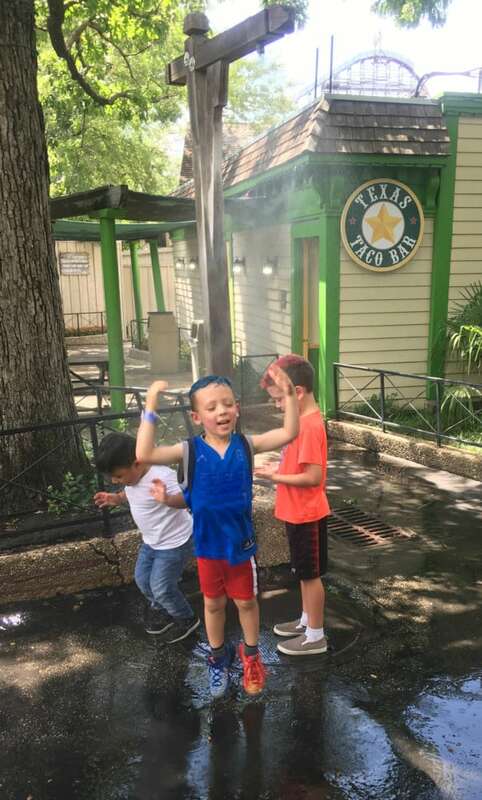 There is not a minimum height requirement when an adult is there, so we all were able to ride in the same log and enjoy the few drops and splashes. We did not get soaked on this ride, but did get a little wet! Misting Fans are placed throughout the park and are a great way to cool off. Some are simple misters, like the one shown below, but also huge fans with mist blowing down and those feel SO good on a hot Texas day! Free water! 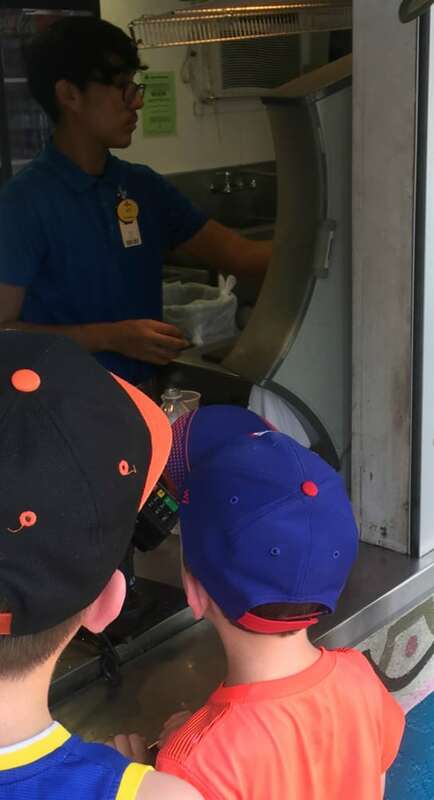 If you bring any bottle to a food and beverage stand, they will gladly refill it with ice cold water at no cost. While you cannot bring coolers, food, or drinks into the park, this is a great way to save money and stay hydrated. Deals on Ice Cold Drinks! 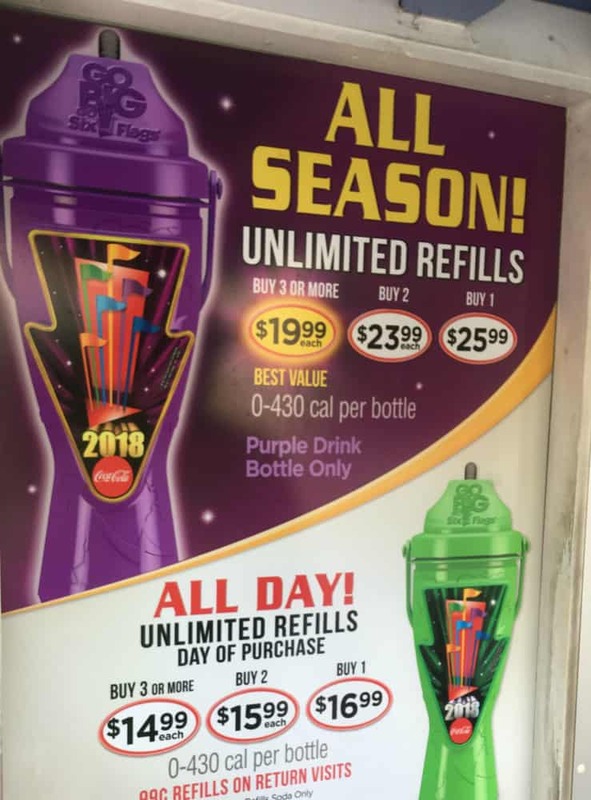 Six Flags Over Texas offers big perks to season pass holders, but anyone can purchase one of these refillable bottles. Ice cold refills are only 99 cents. Buy the purple cup if you are planning on coming back or the green one if it is a one day visit. Ride Aquaman to get soaked! This ride was so much fun, the four-year-old and I had to ride it twice! You are pretty much guaranteed to get soaked when you ride it, so have someone who is not riding hold your phone or secure it in a waterproof bag. This ride is a must do during the summer! Skip the lines. While the lines were not long on the day that I visited, and most lines are shaded, from my experience, but I can only imagine standing in lines on a hot day is not much fun. 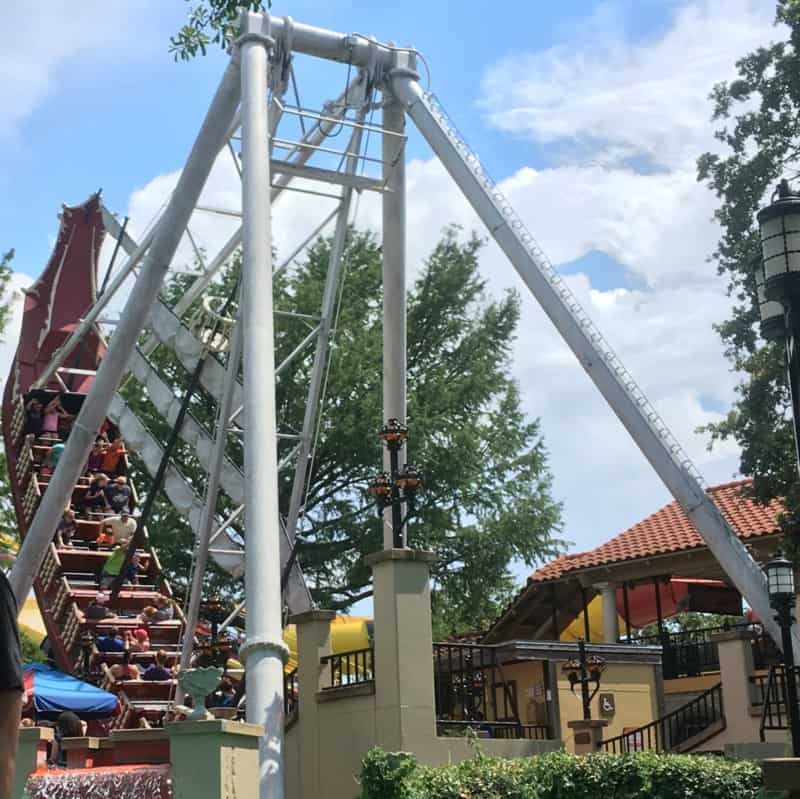 Six Flags Over Texas has made skipping the lines easy with the Flash Pass! Learn more about ways to purchase your Flash Pass and which rides currently have the Flash Pass option. Visit at night! 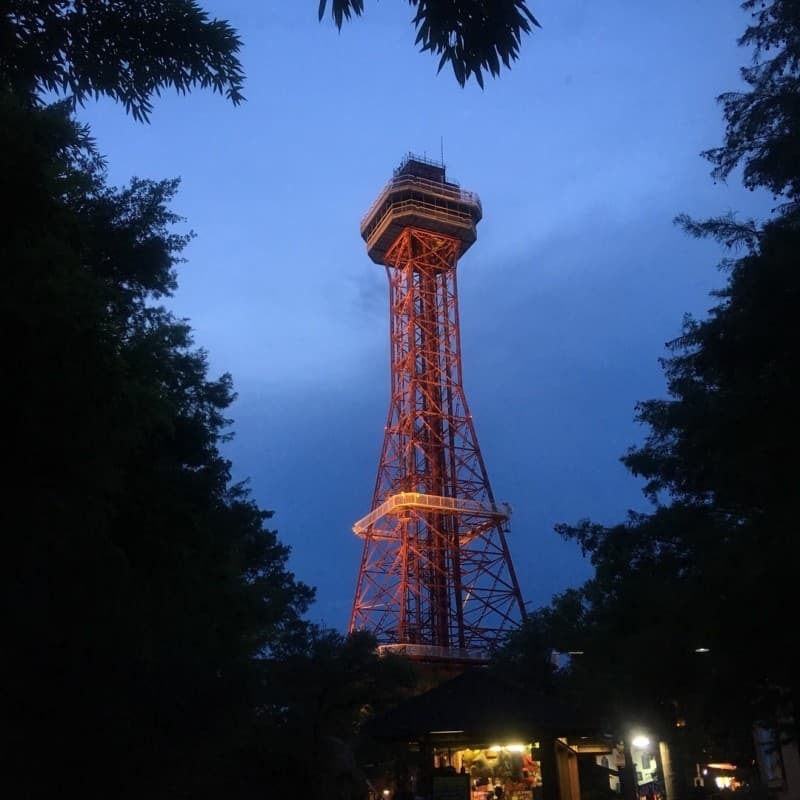 I will talk more about this later, but visiting at night is a great way to beat the heat! And Six Flags Over Texas is open until 10 PM most nights during the summer, so you cannot go wrong! A few years ago, we were able to check out the brand new Bugs Bunny Boomtown. This was when our youngest was a baby, and I was so impressed! There is a bathroom with shorter toilets and even a nursing station for breastfeeding moms. 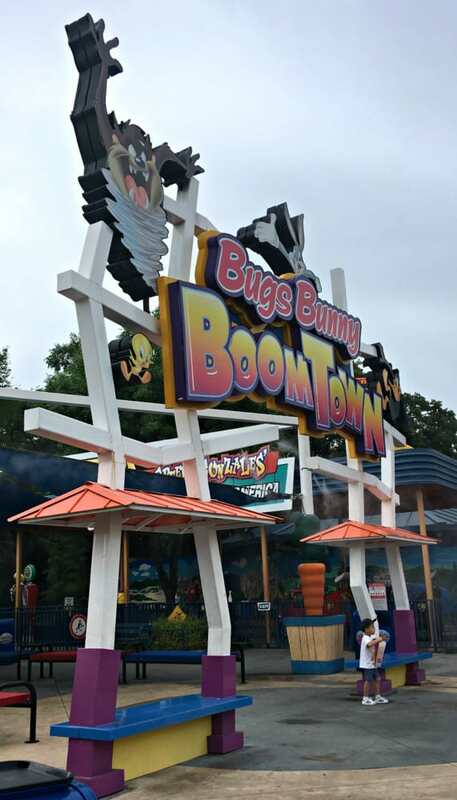 Bugs Bunny Boomtown alone is worth the visit because it has the under 5 crowd and their parents in mind! There is a huge playground that is monitored with staff, many rides for littles (and parents can ride, too!) I love that there are mini rides of the bigger rides that the big kids love. Wile E. Coyote‘s Grand Canyon Blaster mini rollercoaster was a hit! 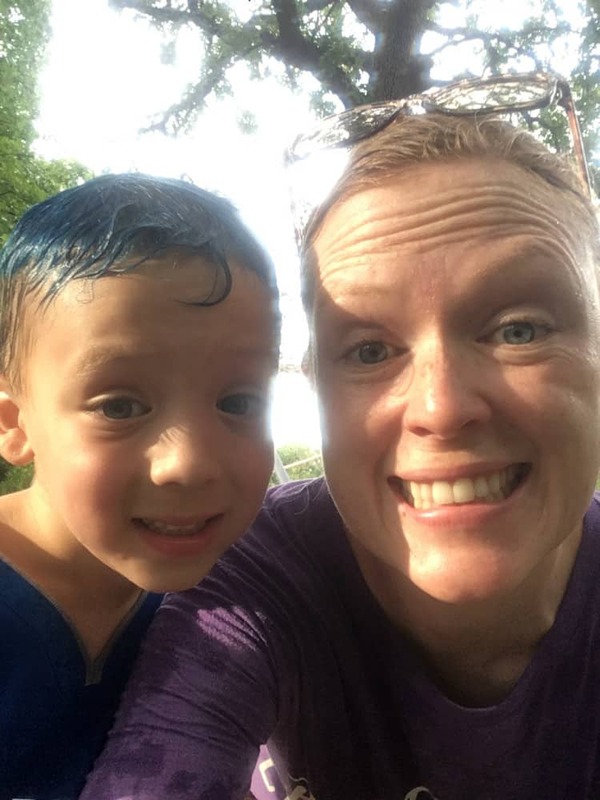 I appreciated that it slowed down a bit before the drop, and I know littles do, too! 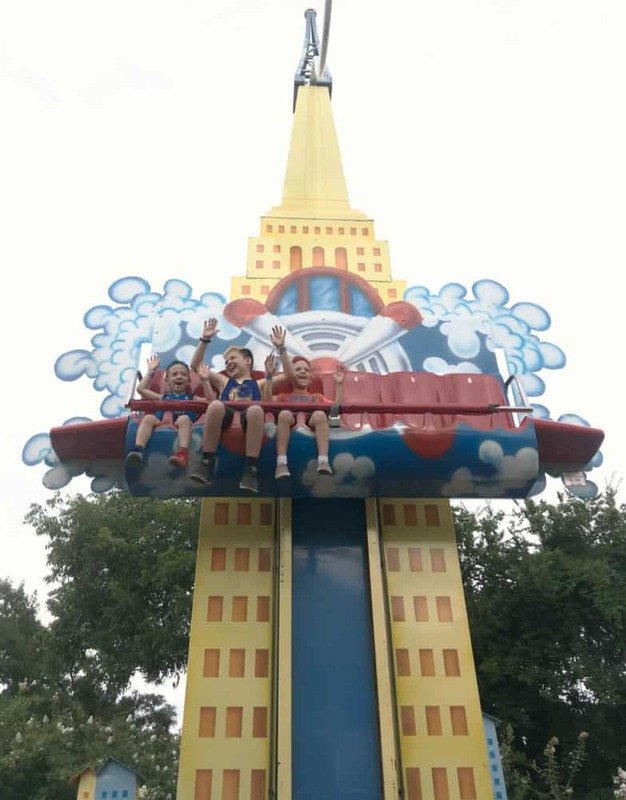 The Cloud Bouncer is like a miniature version of the SUPERMAN: Tower of Power ride…and it was exciting!! Daddy and the boys loved the Gunslinger, too! I remember this ride from my youth, and also riding it when Ben and I were first married, so it holds many special memories! 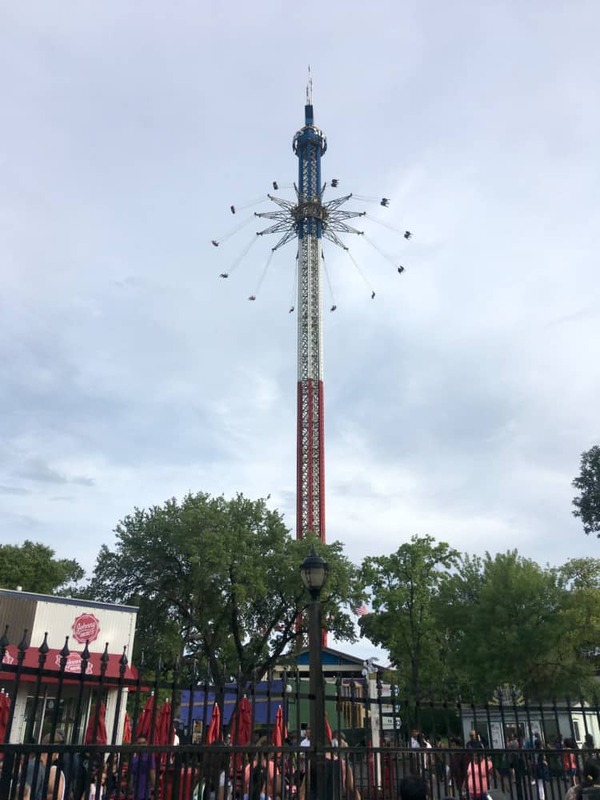 The one ride at the park that my husband will not do is the Texas SkyScreamer, just because it’s a bit too high for his feet to dangle, but this is a much tamer version! If you want to check out the view of Arlington from above, definitely get on the Texas SkyScreamer. 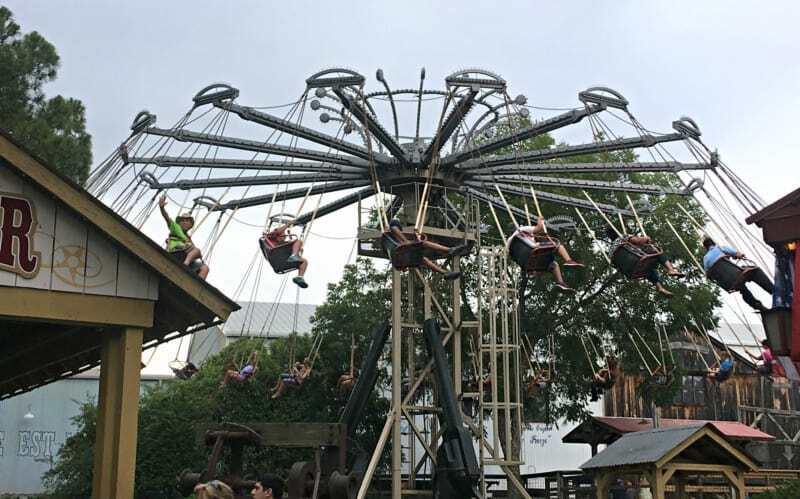 It is considered a thrill ride because you are 400 feet up, whirling around in a swing at 35 mph! Don’t miss BATMAN™ The Ride if you like to be hurled upside down with your feet dangling the whole time! What a thrill ride!! 65 miles per hour, a 153-foot high lift, and a steep drop at 79 degrees…..this is a roller coaster lover’s dream! Other thrilling rides to catch: CATWOMAN Whip, HARLEY QUINN Spinsanity (the NEW ride! ), Judge Roy Scream, La Vibora (all three boys rode this with Dad! ), MR. FREEZE : Reverse Blast, Pandemonium, THE JOKER (Ben braved this one alone! ), Titan, and many more! You can load up your day with thrill rides at Six Flags Over Texas! 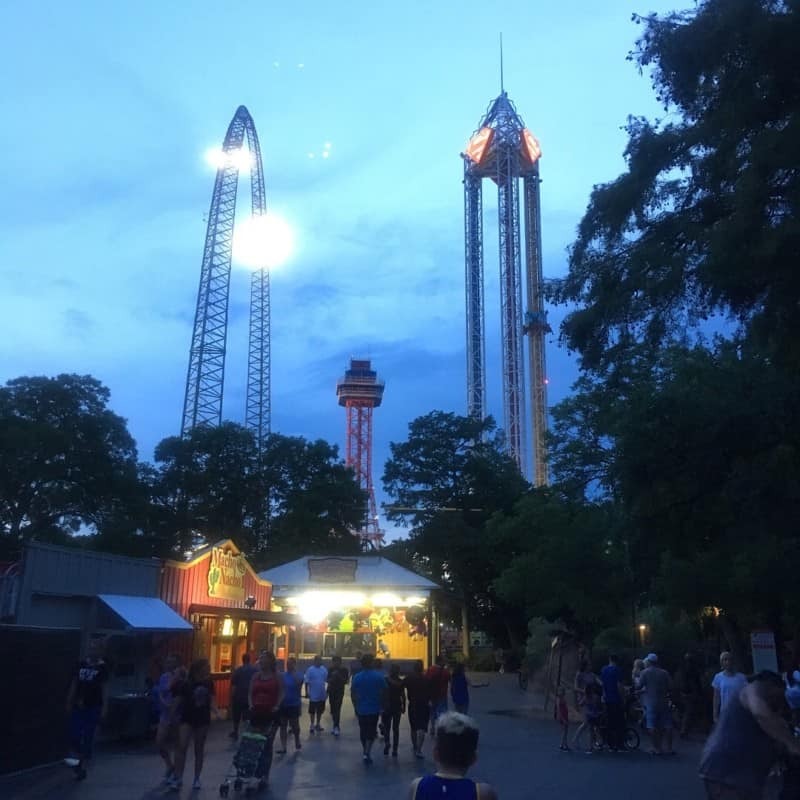 Summer Nights are Spectacular at Six Flags Over Texas! The evenings are SO perfect for visiting Six Flags Over Texas. Not many people realize this, but it really is an awesome time to visit! The park is open until 10 pm on the weekends in the summer (always check the website before your visit.) The rides are beautiful when lit up and that much more fun to ride! When the sun goes down and things cool down, it almost becomes a different park with new things to see! 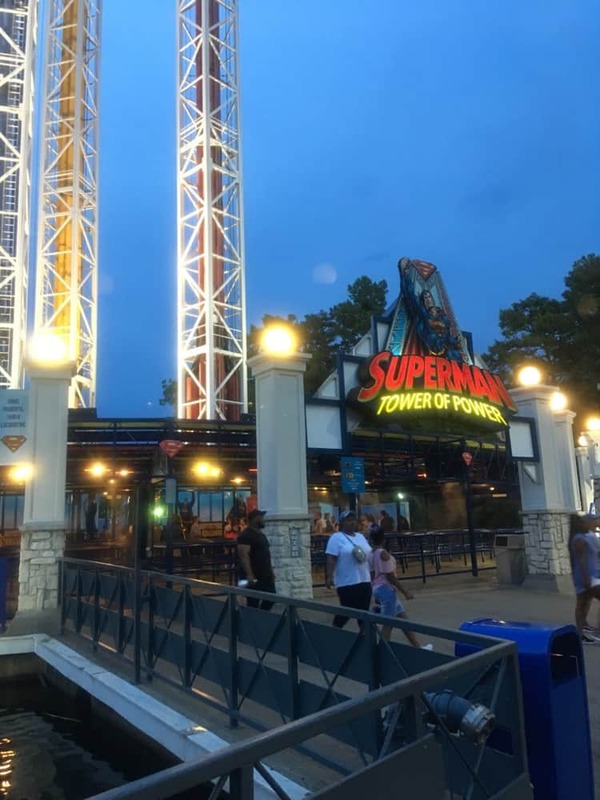 I can only imagine that the SUPERMAN: Tower of Power ride is MUCH more thrilling at night! 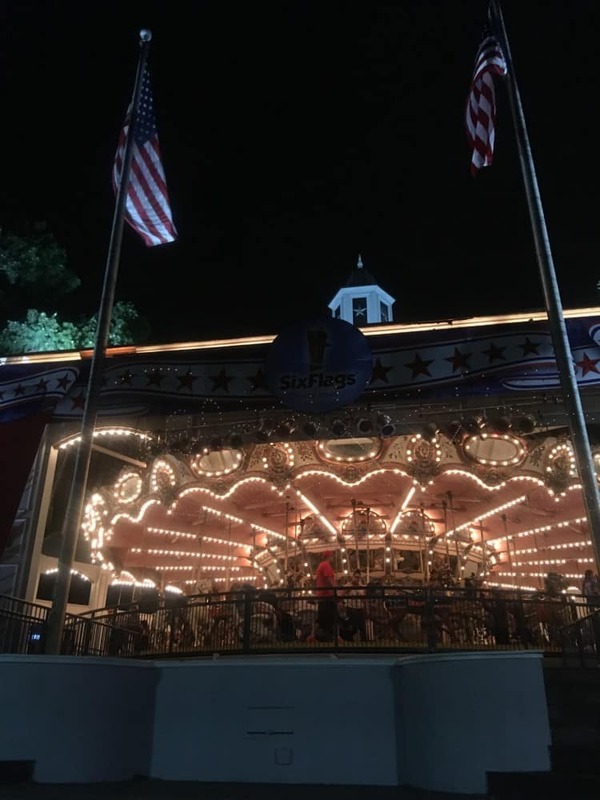 The last ride of our night was the Silver Star Carousel, right at 9:56 PM. It was so beautiful lit up on this Texas summer night! 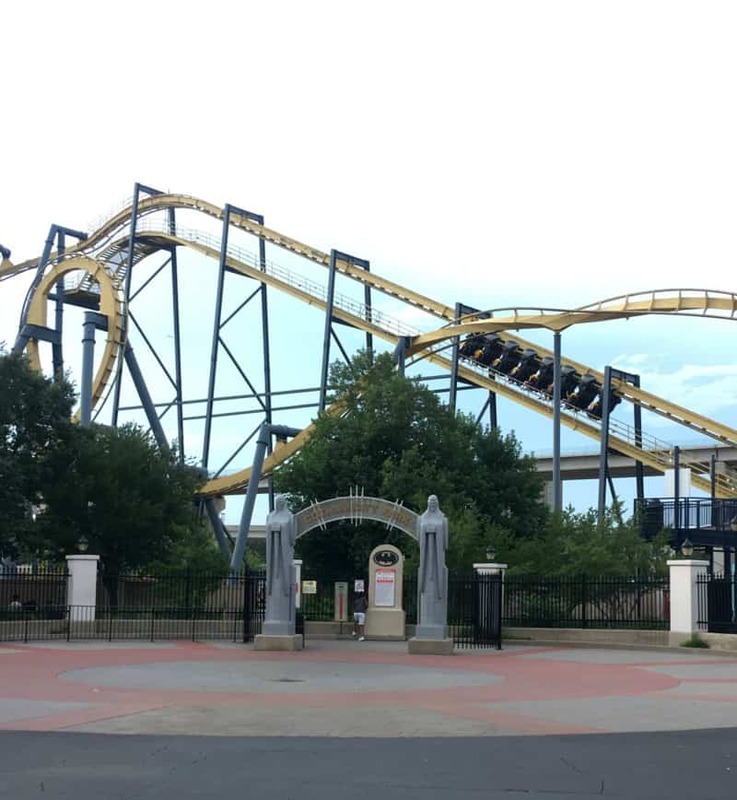 I hope that this post has helped plan your trip, but visit Six Flags Over Texas for more information or feel free to ask us any questions you may have! This is a sponsored post written by me on behalf of Six Flags Over Texas. What a fun place to take the kids to. Thank you for sharing!